Are you an entrepreneur or senior manager of mid-sized or large company? This training program is to provide you an insightful understanding about financial management and how your financial decision impacts your business performance. A mix of diverse participants is an important part of each program. Phnom Penh Business School welcomes experienced executives, managers and leaders who has a broad range experiences from different industries, functions and backgrounds into our training program. This enriches learning experiences for every program that most benefit participants. Please, submit your enrollment at least 7 days prior to the start of each program. Participants are required to notice us about their cancellation at least 7 days prior to the training and the fees will be fully refunded. Notice of cancellation less than 7 days will be fully charged. Notice of cancellation shall be notified via written email. Phnom Penh Business School reserves the rights to change the program content, dates and fees and consultants to ensure quality, effectiveness and standard preparation. Varabott graduated from Chicago Booth School of Business (Chicago, Illinois, US) , MBA’12 (Finance, Private Equity, Strategy), CEFA’98 (Chartered European Financial Analyst, SFAF/EFFAS/CIIA) and Master in Finance ’94 (Master’s degree in Tax, Legal & Wealth Management). 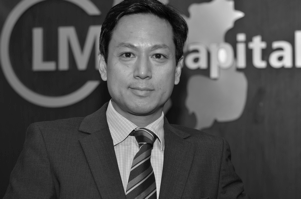 He has more than 25 years’ work experience in Financial Services across Europe and Asia. Extensive international exposure to large scale Investment Management, Hedge Funds, Private Equity, Bancassurance and Corporate Advisory missions. He has also conducted several missions in 24 countries (of which 7 in Asia, 15 in Europe). The Bank of Tokyo-Mitsubishi UFJ., Ltd. Program fee: USD350 (includes coffee, tea, snacks, lunch, refreshment and training materials. The program fee does not include taxes). No tax for individual participants who pay their own fee. 15% withholding tax will be grossed up to invoice for those participants paid by their companies. The language of instruction will be in English. Please, send your enrollment before 8 May, 2018.